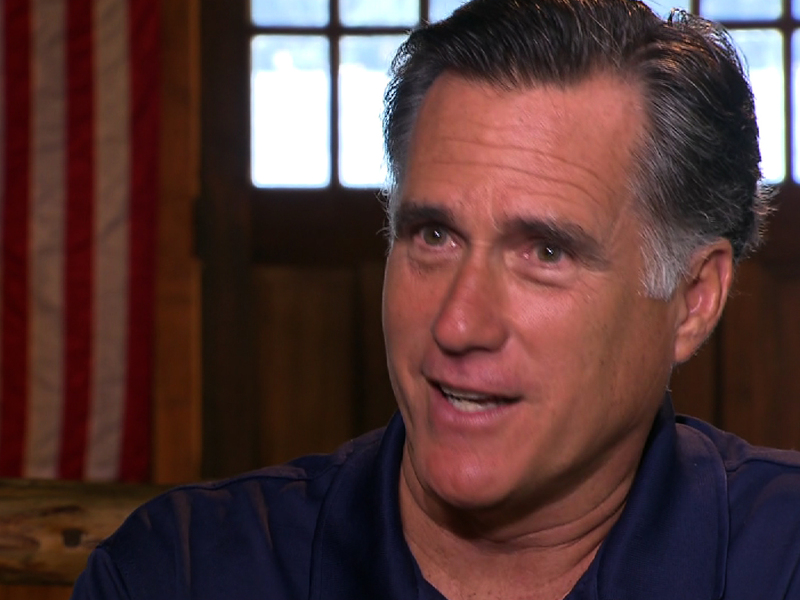 Romney: Individual mandate "is a tax"
(CBS News) Two days after his top adviser insisted otherwise, Mitt Romney on Wednesday told CBS News chief political correspondent Jan Crawford that President Obama's individual mandate - upheld last week by the Supreme Court - is "a tax." "The Supreme Court has spoken, and while I agreed with the dissent, that's taken over by the fact that the majority of the court said it's a tax, and therefore it is a tax. They have spoken. There's no way around that," the presumptive GOP presidential nominee told Crawford in an exclusive interview, referring to the court's 5-4 ruling that largely upheld the president's signature health care law, with the individual mandate as a tax. "I said that I agreed with the dissent, and the dissent made it very clear that they felt it was unconstitutional," Romney continued. "But the dissent lost - it's in the minority." The individual mandate is uniquely problematic for Romney, whose health care legislation as Massachusetts governor also included a mandate. But as an anti-tax increase candidate, Romney has relied on the argument that at the state level, governors can tax on mandate under "police powers" - a fact that Supreme Court chief justice John Roberts noted in his opinion. Still, Romney's remarks contradict a backpedaling maneuver Monday by his senior adviser Eric Fehrnstrom. After the campaign had initially hopped aboard with critics saying the court's ruling indicated the health care law is a massive tax increase on Americans, Fehrnstrom - no doubt eyeing potential backlash relating to Romney's own past mandate - told MSNBC that Romney "agreed with the dissent written by Justice Scalia which very clearly stated that the mandate was not a tax." Pressed by Crawford on whether he had flip-flopped on calling the mandate a tax, Romney turned the table, arguing that the president is the one who's gone back on his word. "You can try and say you wish [the court] had decided a different way, but they didn't," Romney said. "They concluded it was a tax; that's what it is. And the American people know that President Obama has broken the pledge he made. He said he wouldn't raise taxes on middle-income Americans, and not only did he raise the $500 billion that was already in the bill, it's now clear that his mandate, as described by the Supreme Court, is a tax." Watch more of Jan Crawford's interview with Mitt Romney Wednesday night on the "CBS Evening News with Scott Pelley" (6:30 p.m. EST) and Thursday on "CBS This Morning" (7 a.m. EST).